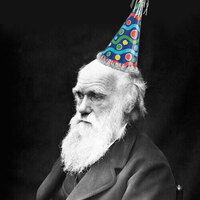 Join us in celebrating Charles Darwin’s birthday—and his legacy of scientific curiosity—with an afternoon of special Science Walk & Talks, plus birthday cupcakes! Walk & Talks begin at noon, 1:00, 2:00, and 3:00 p.m. and are included with regular admission. The event is free free for MNCH members and UO ID Card holders. Oregon Trail card holders are admitted at a reduced rate through the Museums for All program. Visit natural-history.uoregon.edu for details.